Need Help Finding Best Victoria BC Hypnotherapist for You? You may or may not have tried other approaches to counselling at this point, but you’ve decided to seek out a hypnotherapist in Victoria BC. I’ll do my best to help you make a the right decision for you. Whether we work together or not, I want to ensure you get the help that you need. I don’t know what you have heard about hypnotherapy; however, you may very well be skeptical. Maybe you’re not, since you’re here. The stage/performance hypnosis that you’ve seen before, is often people’s only experience with hypnosis. Though those shows are entertaining they don’t represent the full potential of what hypnotism does. Despite the showiness of these performances, skepticism often melts away by understanding what exactly hypnosis is. Hypnosis is a process of bringing an individual to a natural state of mind. It is not magic nor manipulation. It is a state of mind where your mind becomes more capable and achieves more than it otherwise could. In essence it is about relaxing your body and focusing your mind. On another note, a hypnotist cannot force someone to do something. Make a list of criteria for the hypnotherapist to fit into. Hypnotherapy doesn’t work for everyone. That may sound weird coming from a hypnotherapist, but it’s simply the truth. Generally, the people with the best mental focus have the best results from hypnotherapy. Here are some criteria you can use to find good hypnotherapy in Victoria. The hypnotherapist has other tools at their disposal. The person you are working with is professionally trained (and they didn’t just ‘learn hypnotherapy’ on Youtube or something like that). 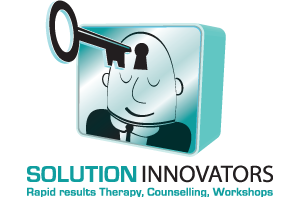 They address your challenges before recommending hypnotherapy as the solution. They are constantly updating their skills. I’m not going to go too in depth in the misconceptions people have about hypnosis, but I would like to set the records straight. As I’ve already mentioned, a hypnotist can’t make you do anything that you are not willing to do. You won’t get stuck in a hypnotic trance (if something happens to the hypnotherapist or otherwise). You won’t be able to remember what happens to you in a hypnosis session. These are just some of the common misconceptions about hypnosis. There are a few options for you if you’re looking for a hypnotherapist in Victoria. But you’ve come here, and found me. You may be wondering though if there are any good reasons for why you should work with me instead of someone else. I have extensive experience with hypnotherapy and other types of therapy/counselling. Hypnotherapy is just one of the tools that I employ to help my clients through their challenges. One of my core principles is that of client comfort and trust. When we talk, I hope you’ll feel comfortable and at ease. Being a counsellor is a privileged and important position. You can contact me for a free consultation. Then we can go from there, and decide what is the best course of action for you. I look forward to working with you in the near future. Whatever the challenge you’re facing I assure you that we can find a solution for it. Together you and I will work towards the life that you want to live.